CONESTOGA – The Conestoga boys produced a warm total on the scoreboard Thursday during a match that featured Arctic-like conditions. The Cougars captured a 3-2 home victory over Omaha Concordia. 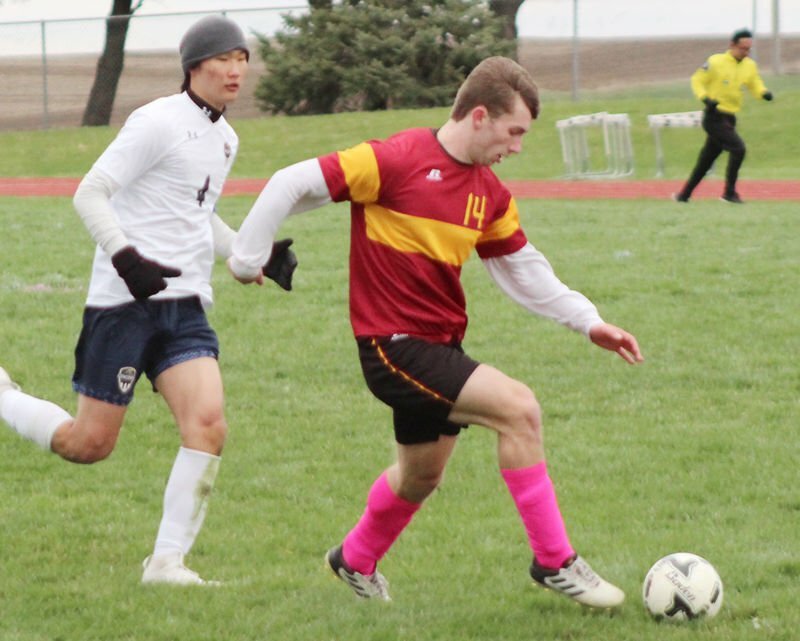 Conestoga jumped out to a 3-1 halftime lead and held off a late Concordia comeback attempt. The teams battled through intense weather at Cougar Stadium. Temperatures dropped into the 30s and wind gusts reached 35 miles per hour during the game. This created a wind-chill factor in the 20s. The Cougars had the wind at their backs in the first half and took advantage of their opportunities. Jax Madsen dented the scoreboard first for Conestoga at the 26:41 mark. He collected a pass at the top of the box and booted a laser into the back of the net. Omaha Concordia knotted the score five minutes later when M.J. Park knocked in a penalty kick. CHS roared ahead with a pair of shots in the final 15 minutes of the half. Braeden Weilage drilled a goal with 14:16 on the clock and Koby Vogler pocketed a score with 6:44 remaining. The Mustangs generated several scoring chances in the second half. Ben Pope cut the deficit in half with a shot with 26:46 to go. Conestoga goalkeeper Wesley Nickels protected the lead after that. He made several leaping plays to stop potential shots from reaching the net. He finished the day with nine saves. 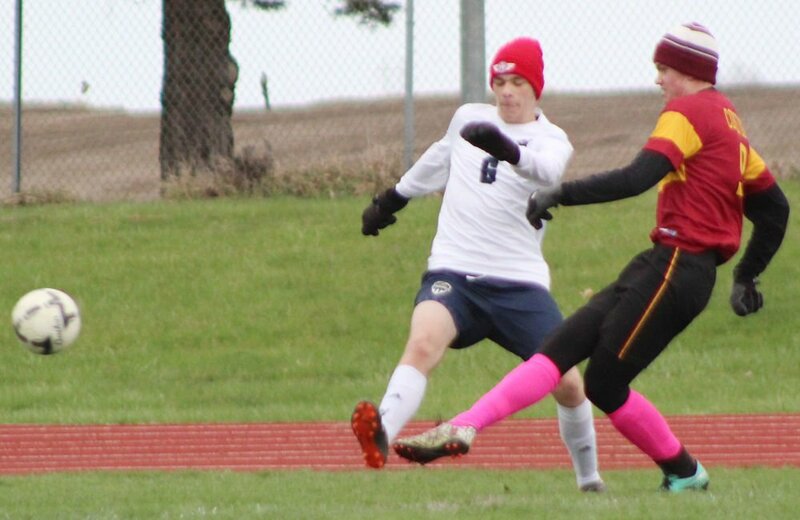 Mason Jensen fueled Conestoga’s offense during the day with two assists. He created multiple other scoring opportunities by maneuvering around defenders along the sidelines. Conestoga (2-7) won for the second time at Cougar Stadium this year. The team defeated Clarinda Academy 15-0 in early April. CHS will resume its season Tuesday with a home match against Plattsmouth. The teams will square off at 5 p.m.
1st half: 1, Conestoga, Madsen, 26:41, 2, Omaha Concordia, Park, 20:45, 3, Conestoga, Weilage, 14:16, 4, Conestoga, Vogler, 6:44. 2nd half: 5, Omaha Concordia, Pope, 26:46.